1) (feudal Barons of Malpas, co. Chester). Ar. a cross flory az. 2) (Hampton and Bickerton, co. Cheater, temp. Henry VI.). Gu. a chev. betw. three pheons ar. 3) (Bickley, co. Chester). Sa. a fesse betw. three pheons ar. Crest—On a ducal coronet a wivern vomiting flames at both ends ppr. 4) A cross patonce (another, pattée) az. 5) (Dublin and Dundalk; Robert Malpas, merchant, son of Walter Malpas and grandson of Thomas Malpas, both of Dundalk). (Crest confirmed to his descendant, John Malpas Esq., of Rochestown, co. Dublin) Gu. a chev. betw. three pheons, points down ar. a border of the last, charged with twelve roses of the first, a crescent for diff. Crest—A demi lion ramp. gu. holding in the dexter paw a pheon point upwards ar. 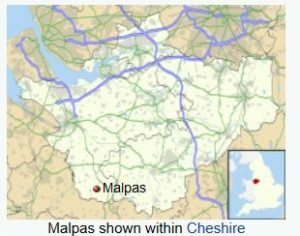 This is a local surname meaning “of Malpas”, which was a parish in the union of Wrexham in county Cheshire. There are also places so called in Cornwall, Gwent, and elsewhere. There are several minor places named Malpas in France, including one in Rousillon the southeastern part of the country. It derives from the Old French term mal pas, meaning bad passage, deriving from the Latin malus passus. The book Surnames of the United Kindom by Henry Harrison states the following in regard to this name: “This pure French name on the Welsh border is due to the old Norman Castle which was built to command the pas”. Two common spelling variants are Malpass and Malpus. The last name ranks Malpas does not rank in 150,000 most common last names the United States Census. However, the spelling variation ranks 18,192nd. The state where the name ranks the highest is Alabama. The name is more popular in England where it ranks 7,126th. It is also found in other areas of the English speaking world in Europe and the New World: Wales (3,682nd), Australia (12,527th), New Zealand (8,942nd), Scotland (9,780th), and Canada (103,933rd). The earliest known bearer of this last name was Henry Malpas who was documented in the Curia Rolls of Yorkshire in 1204 AD. A one William de Malpas was recoreded in Cheshire in 1230 AD. Walter de Malpas was recorded in the Subsidy Tax Rolls of 1275 as living in Worcester. David del Malpas was recorded in the same county in 1391. Early marriages involving this surname was Jone Mallipez to Rycharde Wheler at St. Michael Cornhill in London in 1556 AD, Mary Malpass to John Bendford at Canterbury Cathedral in 1737, and Anthony Malpas to Jane Roberts at St. Michael Cornhill in 1746 AD. The first ancestor of this family in recorded history was Lord Ceneu of Brynffenigl Ap Coel who was born in 567 AD. The pedigree goes on as follows: 1) Prince Gwrst ap Ceneu, 2) Price Merchion of Man Gwrst, 3) King Elidyr Llydanwyn ap “Llydanwyn” Meirchion, 5) Llywarch Hen ap “Hen” Elidyr Prince, 6) Prince Diwg ap Douc Dwywg (Dwg ap) “Hen” Dalriada formerly Llywarch aka Dál Riata, Dalriata, 7) Prince Gweir Ap Douc, 8) Prince Tegid ap (Tegid of Man) Gwair aka Cade , 9) Prince Alcwn “Alcwn Ruler of Man, Prince of Deheubarth, Alcwn of Man” ap Tegid, 10) Sandde ap Alcwn, 11) Elidir “King Elydry of Isle of Man” ap Sandde, 12) Gwriad “Gwrgaint, Gwyriad” ap Elidir, 13) Merfyn “Frych, King of Wales, King of Powys, 1st King of Isle of Man, the freckled King, 14) King Rhodri “Mawr” ap Merfyn , 15) Anarawd Mawr “Prince of Wales” Rhodri formerly Gwynedd, 16) Iago Idwal, 17) Owain le belward of Holy ap Iago, 18) Gruffydd ab Owain, 19) Baron William I “Le Belward Miles” Malpas Miles, 20) William (William II) “le Belward” Belward formerly Malpas, and 21) David de Malpas. David was born in 1090 AD in Malpas, Cheshire. He married a women named Marged and had a son named William. William was born in 1120 in the same city and was the father of David ap William II Malpas who was born in 1150 AD. He in turn had a son named William ap David II Malpas, who was corn in 1188 AD. 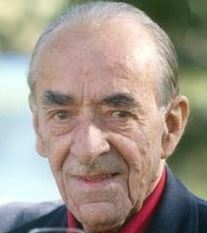 He married Beatrix Mohaut. They had two issue: David and Roger. His son Roger was born in 1225 AD. He in turn had a son named William, born ion 1258. William had a son named David who was born in 1297 in Egerton, England. He married Catherine Egerton and had two sons with her, both named David. David was born in 1332 and married Kathertine Bickerton. They had three issue: Agnes, Matilda, and Margaret (Hough). The earliest recorded settler in America bearing this surname was Richard Malpas, who landed in Virginia in 1711. A later settler was George Malpas who came to Pennsylvania in 1856. There is not a documented motto for the Malpas family. We have five coats of arms for the Oakes surname depicted here. These five blazons are from Bernard Burke’s book The General Armory of England, Ireland, and Scotland, which was published in 1848. The bottom of this page contains the blazons, and in many instances contains some historical, geographical, and genealogical about where coat of arms was found and who bore it. Famous people with this last name include: 1) Charles Henry Malpas (1899-1982) who was an Australian businessman and inventor who was known for creating the Airlesflo tap, 2) Jeffrey Malpas (born 1958) who is an Australian philosopher who is a professor at the University of Tasmania in Hobart, and 3) Sir Robert Malpas (born 1927) who is an British businessmen and engineer. The four main devices (symbols) in the Malpas blazon are the cross flory, pheon, chevron and rose. The three main tinctures (colors) are azure, gules and argent .